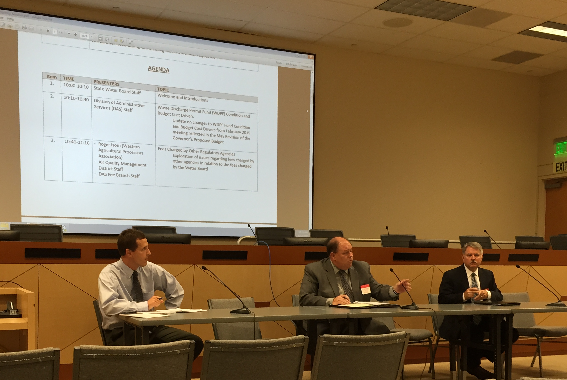 Continuing its mission to address the exorbitant fees for Waste Discharge Permits, the Western Agricultural Processors Association (WAPA), testified at the WDR Fee Workshop at the State Water Resources Control Board (SWRCB) this past week in Sacramento. Highlighting the 133% increase over the past six years, and the fact the WDR fees are more than 250% of all other environmental regulatory fees combined, WAPA President Roger Isom voiced the need for the SWRCB to change their process, and used other agencies to point out the concerns with the SWRCB Fees. At WAPA’s invitation, the San Joaquin Valley Air Pollution Control District also testified before the SWRCB, discussing their very thorough “zero based budgeting process”, which has led to only a 16.6% increase over the past 16 years. In addition to WAPA’s comments, several other organizations participated in a panel commenting on the SWRCB fees. Specifically, WAPA is working with California Citrus Mutual, California Fresh Fruit Association, Ag Council, and the Nisei Farmers League to address this critical issue for food processors.